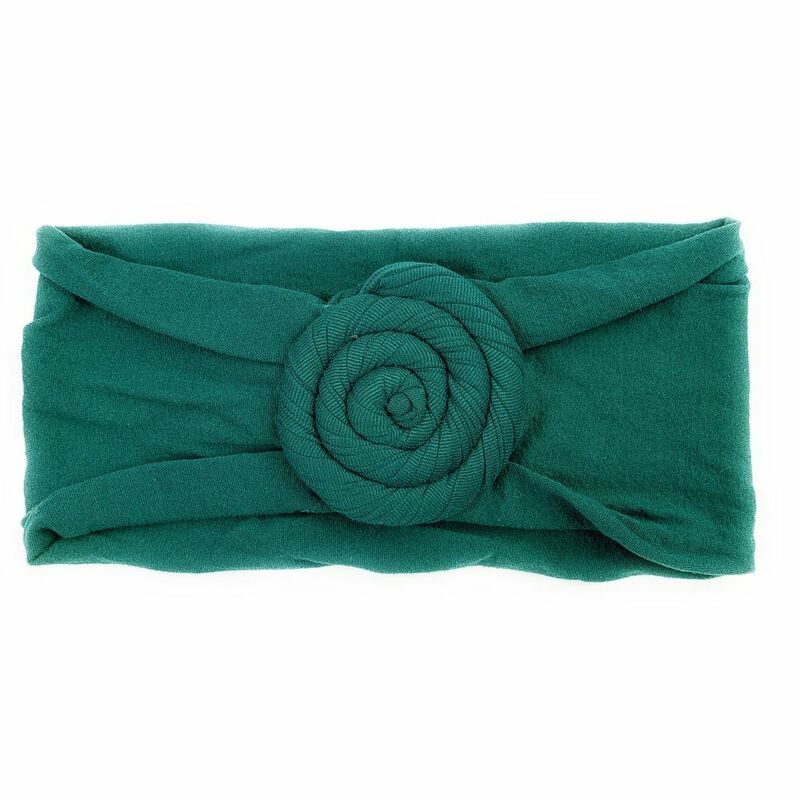 Keep your baby girl comfortable and in style with this cute, stretchy and soft turban headband with a knotted centre. This headwrap won't leave marks and stretches on your little one's head. The "knot" is worn near the front, middle of hairline which makes the hair look like it is being pulled back and looks great on girls with or without hair. Perfect for casual wear or dressy occasions. This headband fits best approximately 3 months to 2 years. The band is approximately 3 inches wide. Made of nylon material.